fiteBac™ SkinCare, LLC, Marietta GA launches fiteBac SkinCare Hand Softening Gel to the beauty salon distributor industry. fiteBac’s gel is designed to help salon professionals sooth dry, dehydrated hands, keeping them velvety soft remedying exposure to water and other harsh elements in the industry. fiteBac SkinCare understands the problem salon professionals face with their hands. That’s why fiteBac SkinCare’s Hand Softening Gel is expected to be the product of choice. fiteBac™ SkinCare, LLC is one of the top companies to watch in the near future. After successfully launching their Germicidal Hand Softening Gel, they have developed and formulated a unique patent pending product perfect for Salon Professionals. The unique formulation is long-lasting, water free, alcohol free, fragrance free, petroleum free and paraffin free, the perfect formulation that leaves skin silky smooth in an industry in which hands are constantly exposed to water, soaps, shampoo’s and other harsh elements. fiteBac’s patent pending hydrophobic formula helps improve the skin’s moisture barrier. 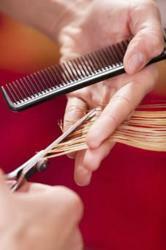 Salon professionals are constantly looking for relief from hands in poor condition. Water by itself can be harsh on hands, and hard water can leave a sticky film of soap on hands. The film can actually impede the removal of soil and bacteria on hands. The soap film interferes with the skin’s ability to maintain the natural, slightly acidic condition, leading to irritation of skin cells. Constant exposure to soaps and water break down the skin, and gradually over time result in a poor condition. Daily exposure to often harsh on hands salon products and heat implements can compromise hands and lead to poor integrity of the skin. Overtime, the daily harsh exposure will destroy the beauty of hands. It is more important than ever, that salon professionals take care of their skin, and not age their hands unnecessarily. fiteBac SkinCare is a wonderful remedy to help turn around rough, dry hands. It is designed to keep the skin soft despite frequent shampooing. Its unique hydrophobic formulation allows skin to perspire while helping to promote the skin’s moisture barrier. It’s fragrance free, so sensitive professionals and their clients won’t be offended, and there’s no greasy feeling, so scissors won’t slip. About fiteBac™ SkinCare, LLC and KHG: fiteBac SkinCare, LLC is a subsidiary company of Kimmerling Holdings Group, LLC (“KHG”), a Georgia-based biotech company that has developed an antimicrobial platform intellectual property technology. KHG was founded in 2009 by Marietta cosmetic dentist, Kirk Kimmerling, DDS and Dan Kearney. The two set out to create products to "change the world, one product at a time." Kirk and Dan first targeted bacterial issues in dentistry, knowing that solving those problems would lead to dramatic improvements in oral health, and more importantly, systemic bodily health. They engaged a team of highly accomplished chemists and scientists retired from Fortune 500 companies and researchers from major universities. In doing so, KHG has developed technology with several patents pending that has application well beyond dental materials, and has exciting potential in medical, plastic, composite, coating and other applications that are in various stages of development, some close to commercialization. fiteBac SkinCare Hand Softening Gel is the first product to be released under the fiteBac brand name.